This week we were able to reactivate 2 families and baptize one of the sons who wasn´t yet baptized, Gustavo. They were very excited to be back at church! Lots of times inactive members are just waiting for an invite to go back to church. Usually they are embarrassed to go back by themselves; that´s why we need to invite them and help them in the reactivation process. I am being transferred again to a new area! And guess who my new companion is…. 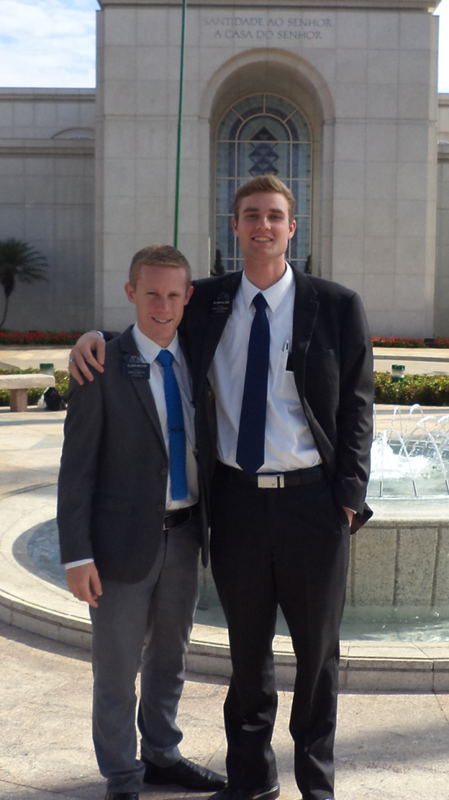 Elder Sukhee!! 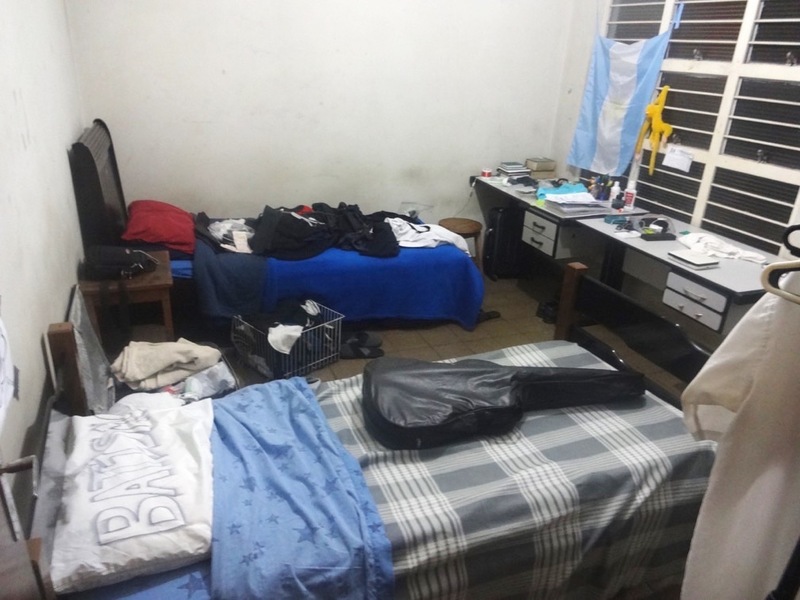 :D It will be great to be with him again; but don´t worry, our area is in the interior where there aren´t dangerous favelas. 3 Baptisms, 2 Bites, and a Win! This week we baptized a family of 3! Sandra and her two children, Carlos and Alessandra. Here is a picture of the dog that bit me! haha I went to the doctor and everything is taken care of. The dog was vaccinated so I didn’t need any more shots. When we went back to get more information from the owner, the lady wanted to show us that he was friendly; so, she started to open the gate to let him out, but we quickly shut it hahaha! 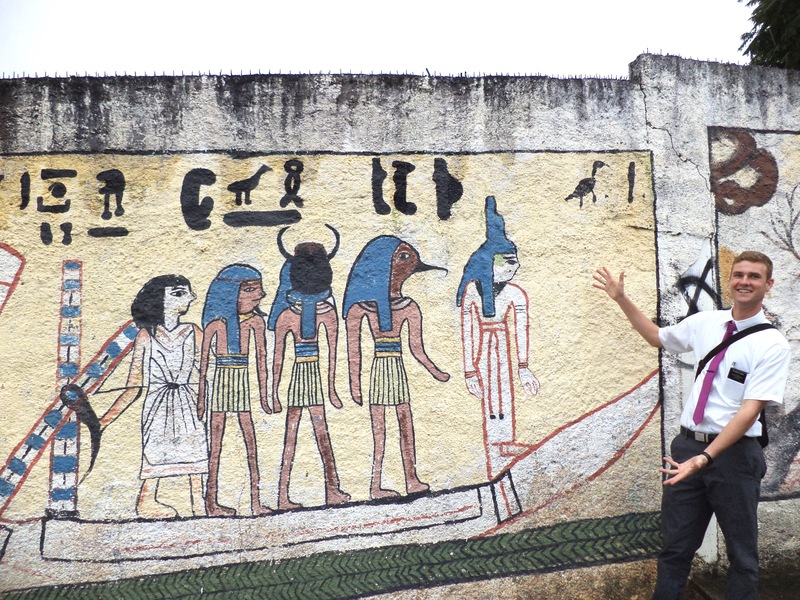 We went exploring to two far away cities this week. 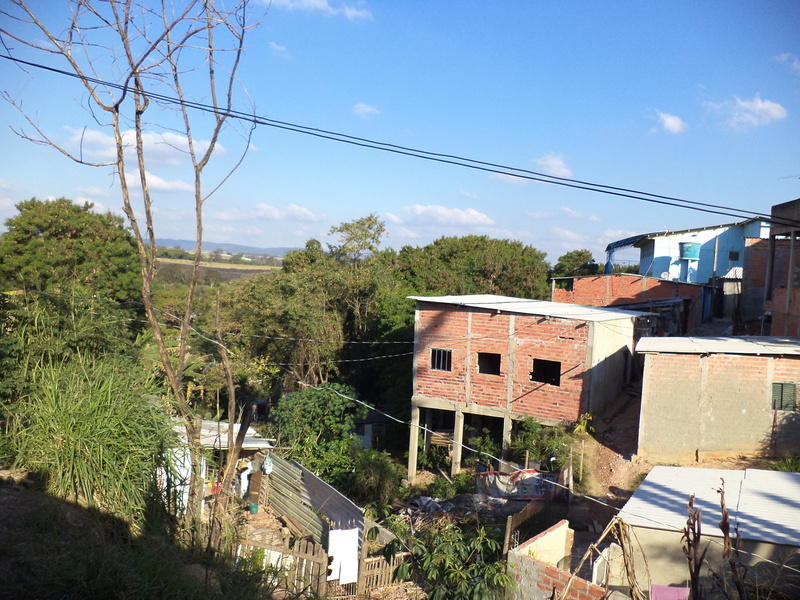 They are over an hour by bus, but it´s part of our area! We visited some less actives and invited one to return to church! We had a delicious lunch with a member who made his own skillet. The Brazilian win against Germany in soccer was actually a big defeat for Brazil because Brazil lost to Germany 1-7 in the World Cup. It was their revenge match and they came out on top! One day this past week we fasted with the purpose of finding people to baptize. The next day we became lost, looking for less actives on the member list. A woman saw us and ran to us asking if we were from the “Mormon” church. She said that her 16 year old son always passes in front of the church and has really been wanting to know more about the church. We marked an appointment with them for the next day. When we got there, we found that it was a family of 3. A widowed mom named Sandra (who ran up to us the day before), Carlos who is 16, and Alessandra who is 9. We taught the restoration and Carlos accepted to be baptized without hesitation. 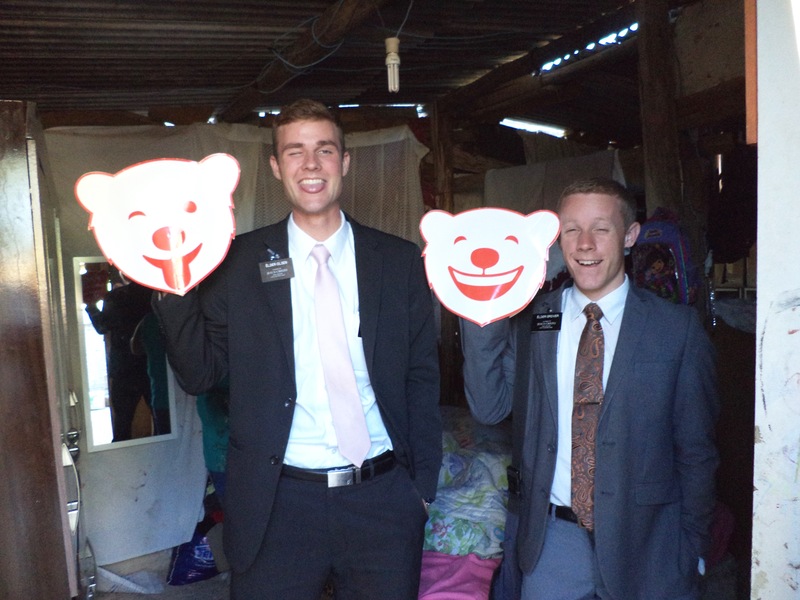 The family went to church yesterday and loved it and Carlos already wants to serve a mission! Miracles are real and fasting works! We just have to show our faith and works first. Yesterday we also baptized a girl named Bianca. She was baptized by her husband. 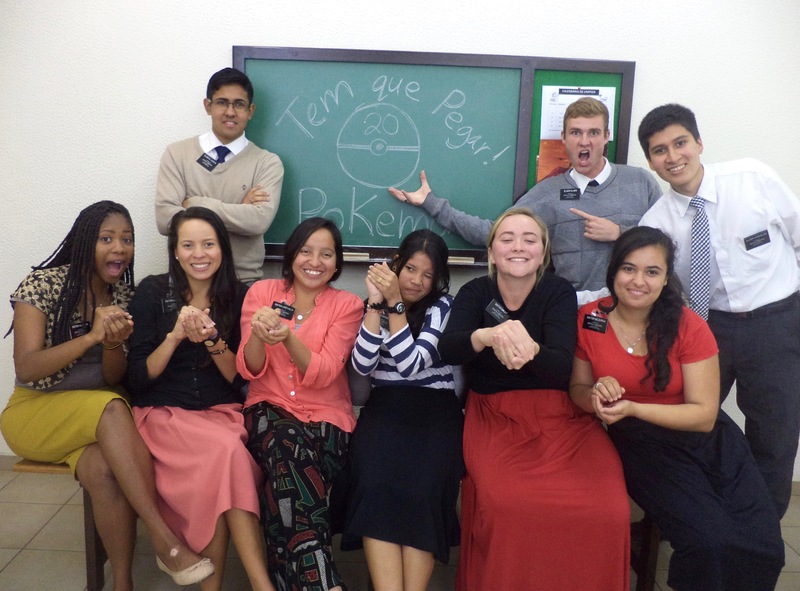 They will start to get ready for their temple sealing! Families are forever! Yesterday we baptized Katielly. She is an 11 year old girl from a family of less-actives. We reactivated the family at the same time as baptizing her! We are working with some members in the branch, here, who are very helpful! 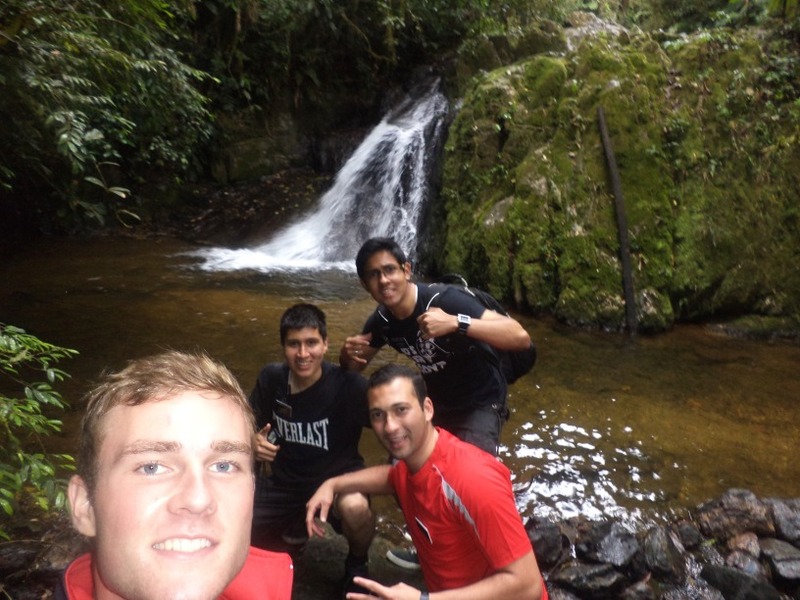 Today we went to a waterfall that is in our area, but it was 2 hours away by bus. I also got the package. Thank you for the goodies! 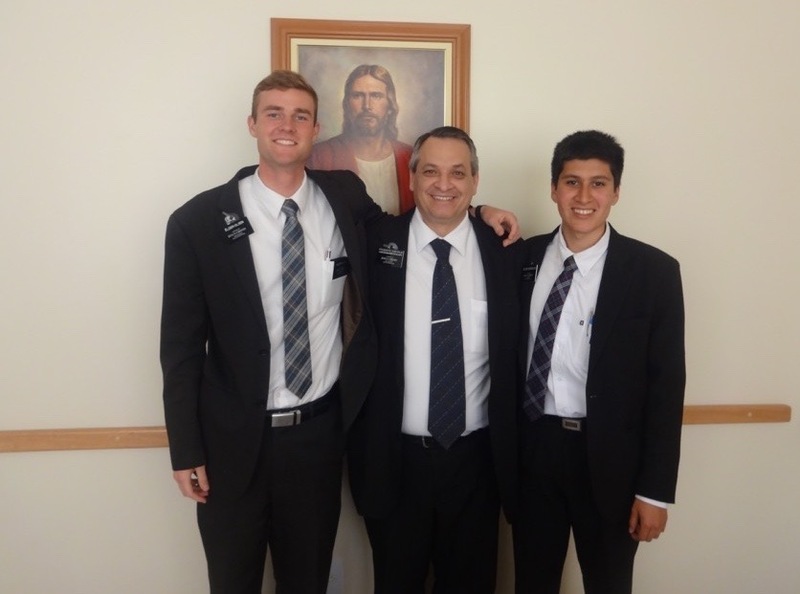 My new companion is Elder Gonzales from Argentina. He is super funny and a hard worker, which is awesome. He was in the area already for one transfer before me. Our new area is pretty big and spread out because it is the interior. 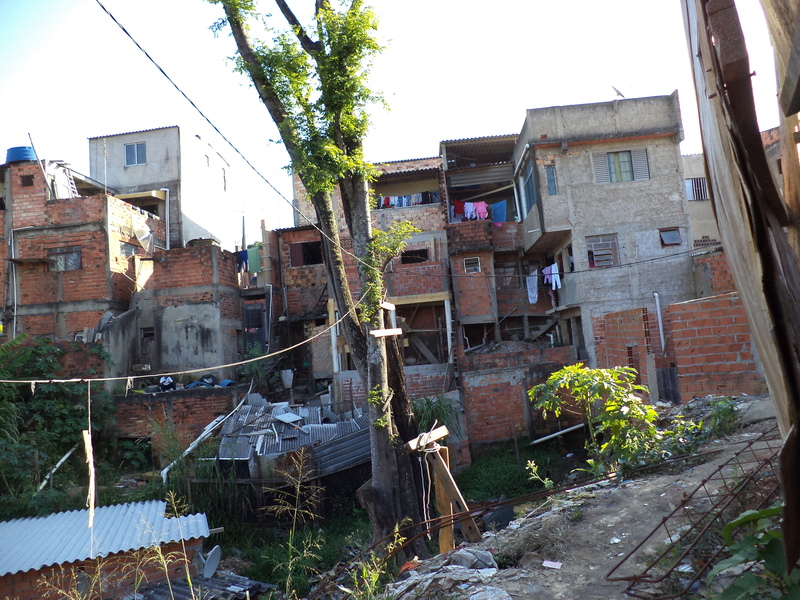 There are also less houses and less people in the streets, which makes the work a bit more challenging. This week we had planned to bring about 25 people to church, but only 5 went. It´s totally normal, though haha. But these 5 people all have baptisimal dates for this next week! Three of them make up a family: Juliano, Lucelia, and their 8 year old daughter Ana Carolina. We are excited to baptize a family!. We are also working with a less active family where not everyone is baptized. Katiely is 11 years old and is firm for her baptism on Sunday as well! 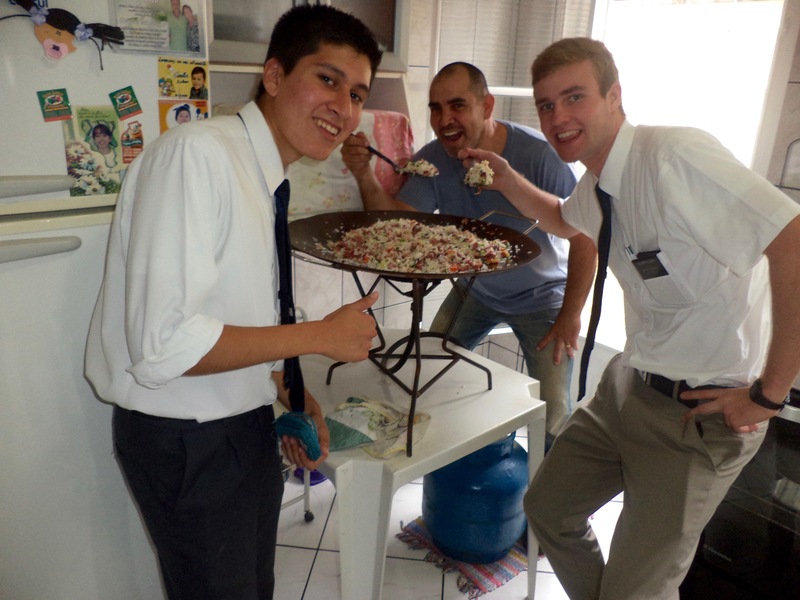 The dad of the family also isn´t baptized, but he will need more work to get baptized. The 5th person is Pedro, the boyfriend of a member. They are about 30 years old. The already want to get married and he wants to be baptized as fast as possible so they can be sealed as fast as possible. 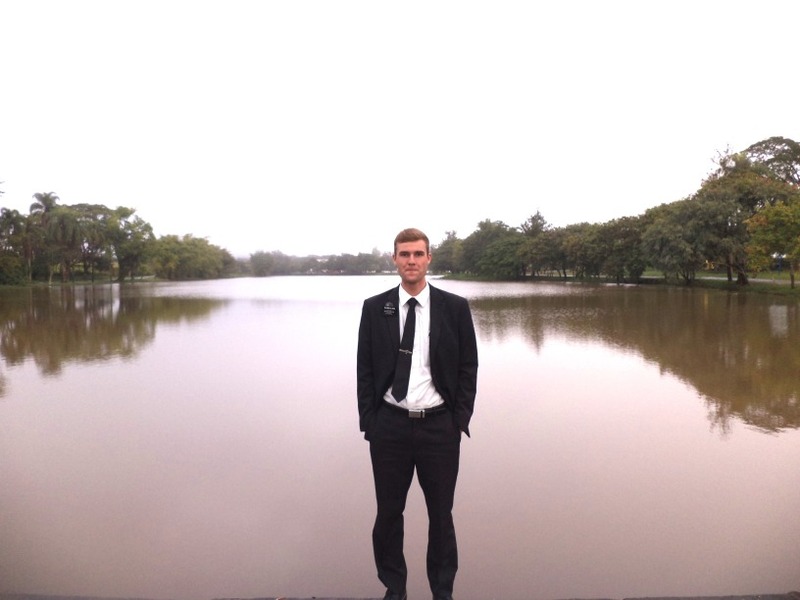 Converts have to wait one year after the baptism to be sealed in the temple. 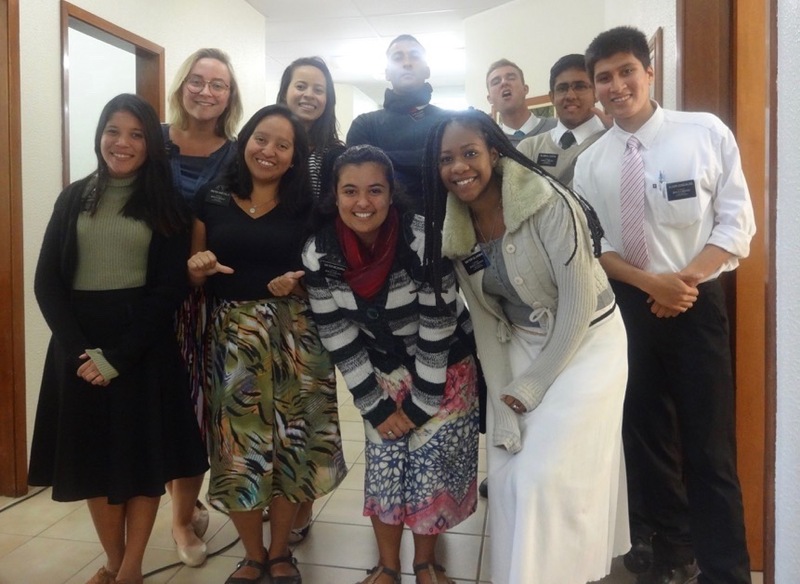 It´s super important that we help people be baptized as quick as possible because this life is short and the blessings awaiting them are great! This week we baptized Giovanna and Wesley! They were going to get baptized last week, but they couldn´t go to church. It felt good to get back in the water–it has been so long since I’ve baptized! Igor was also supposed to be baptized, but his mom wouldn´t let him. He wanted to be baptized so bad! 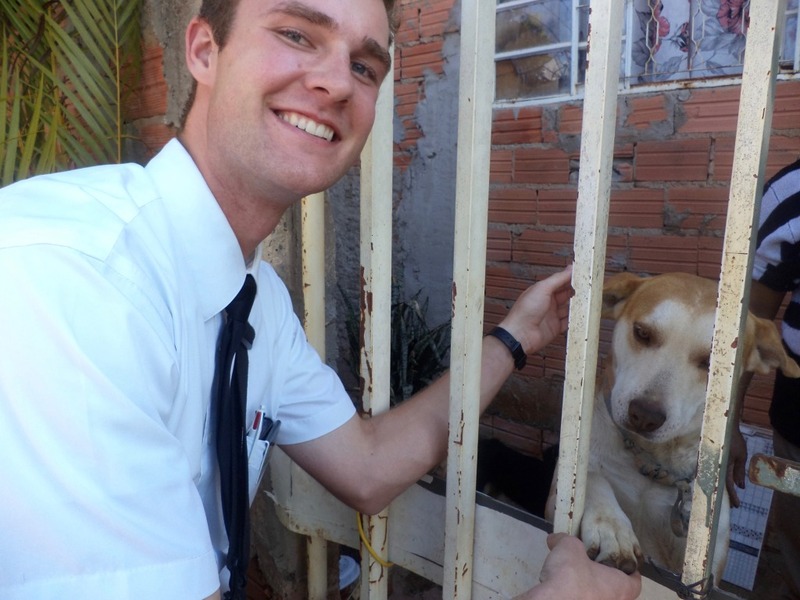 Elder Grover will stay here next transfer, so he will work more with Igor’s mom and also baptize Wesley´s brother…and also their mom who hasn´t gone to church, yet! We gave all the young men white shirts and ties right off the bat, even before being baptized! It gets them more excited to go to church. I will be transferred this week to a branch that´s further in the interior. 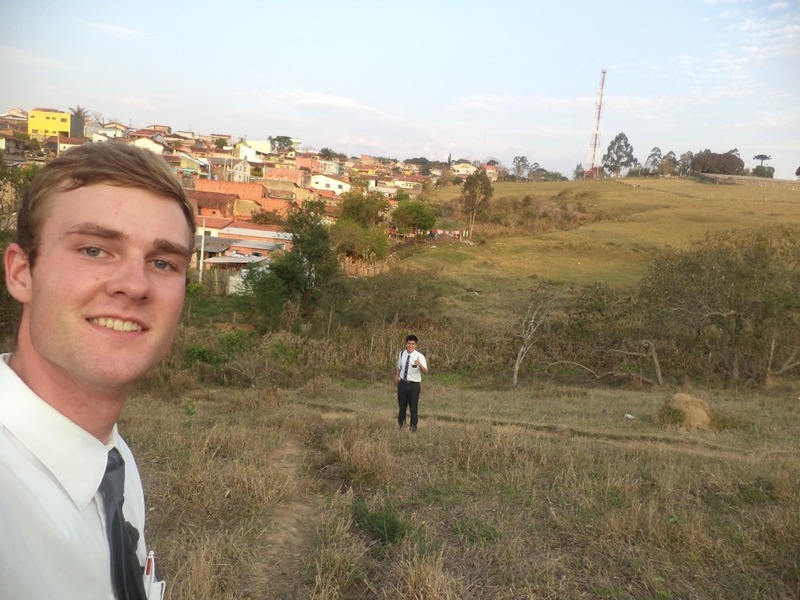 It´s in one of the same Zones I served in at the beginning of my mission. My companion will be Elder Gonzales from Argentina! This week was tough. We had 3 firm baptisms planned and they all fell through:( On a better note, for Zone meeting on Tuesday we gave a sweet training. Lot´s of the zone was losing the focus of baptism, so I thought up a sweet activity to get them excited. 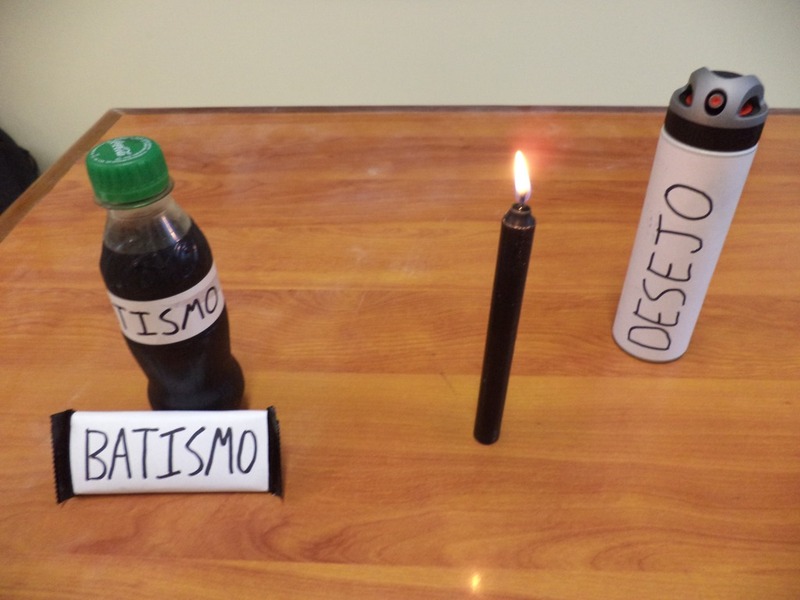 I lit a candle and told them that it resembled their “fire” to baptize; but that it wasn´t enough. I asked them what we needed to make the fire bigger. Someone said we need to put gas in the fire. I grabbed an aerosol cologne spray without them looking and made the fire explode up in flames. All the sisters screamed haha! (We got the point across to everyone). The gas resembled their true desire. Then we told everyone that they have to “eat, drink, and sleep baptism”. We then all ate and drank baptism together. Then gave them a dream bubble for them to put above their pillows to sleep baptism at night haha! Even though you aren´t a full time missionary, you still need to think of people to baptize! 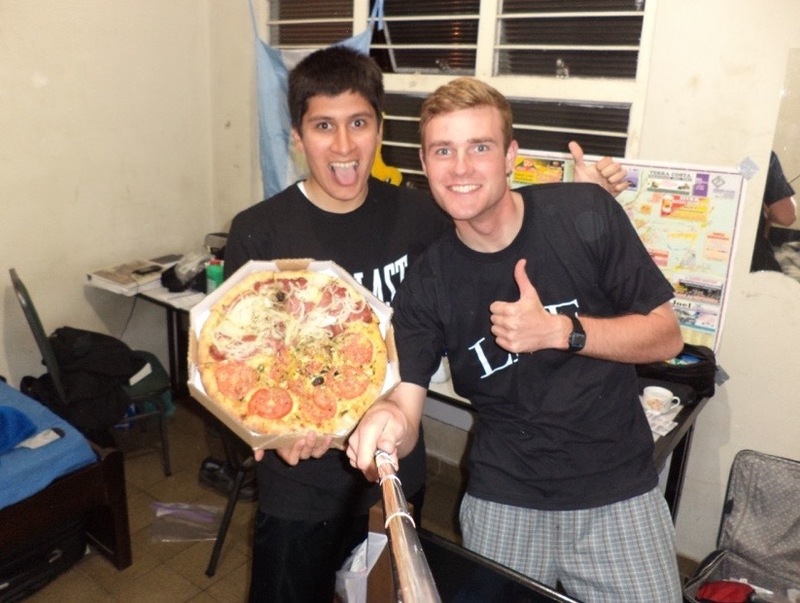 True Desire means Eat, Drink, and Sleep Baptism! This week we had a Multi-Zone conference with the President and also a Leadership council. They both went awesome and it is incredible how much we learn at these meetings. At the Multi-Zone conference, we talked a lot about faith. For the month of July, we have a goal of 500 baptisms! Wish us luck! ‪ Tomorrow we will be having a zone training that we will give. We will try to pass the vision to our zone while at the leadership meeting. We found a lot of new investigators this week. We had 7 investigators at church, 3 of which are progressing for baptism for this Sunday. We also had a mom and daughter and cousin who came to church with us. They really enjoyed church and we have a lesson with them tonight. We had 4 confirmations and an incredible miracle this week! You guys remember Lui? He is the son of a less-active that we have been teaching. He had gone to church with us a few times and liked it, but wasn’t ready to make the commitment for baptism. He was having the influence of different friends to attend different churches and thought he might fit in better in a different church. He didn’t know that we were trying to help him enter into the only true church of Christ. He just thought it was another church. 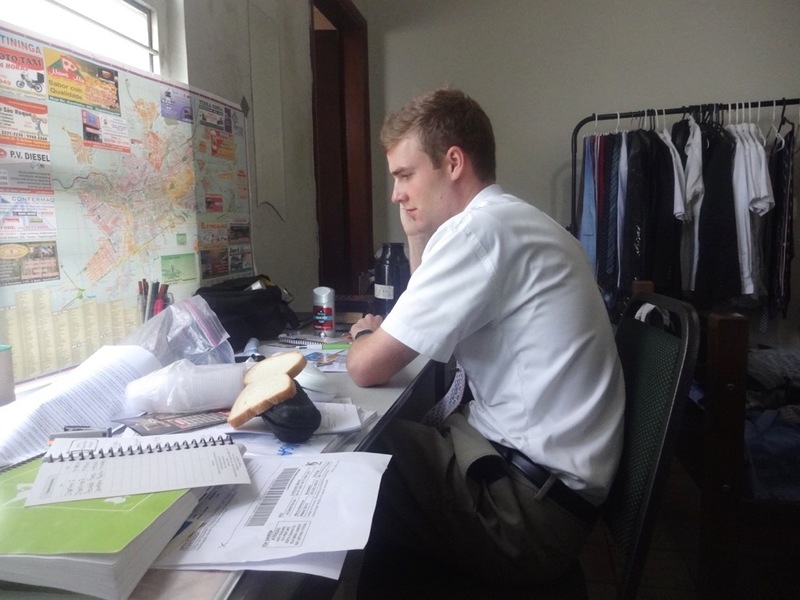 We had really been encouraging him to read and pray about the Book of Mormon, but he was just never really doing it. Every time we went back, he hadn’t read or prayed. 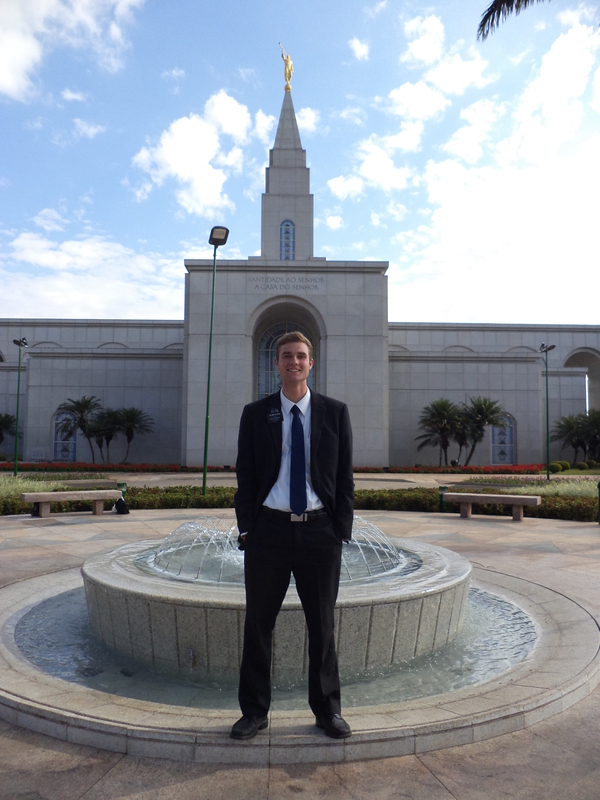 Our temple trip was awesome on Wednesday. It was good to see a lot of old friends and see how everyone is. This week we will be working with a lady named Neide. We are helping her quit smoking to be baptized. She loves the church and will need all the help she can get this next week to be baptized. Please keep her in your prayers as well! My new area is nice because it has a richer area, but also a more humble area which is better to work at. The church building is also very nice; it´s one of the nicest ones I´ve worked at! We are teaching a mother and daughter who were brought to church by a less active who is returning. We will baptize them this next week! 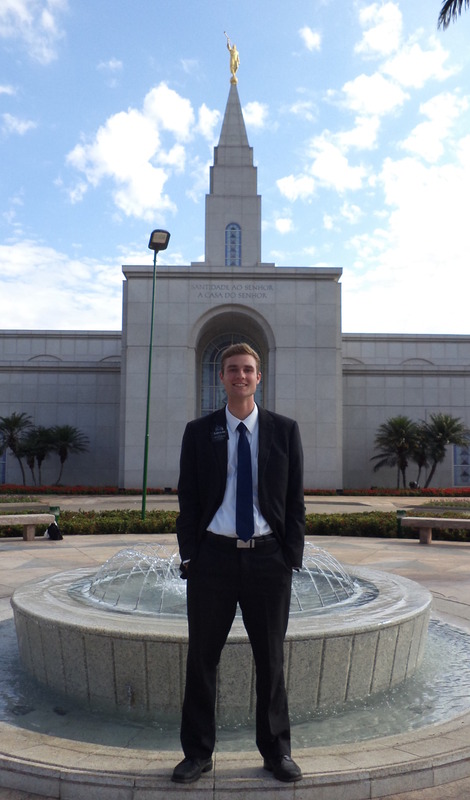 Samuel wasn´t confirmed yet because we had stake conference yesterday! He was there, though, to watch. He will be confirmed next week along with Pierre, the man we baptized yesterday! He is Haitian. 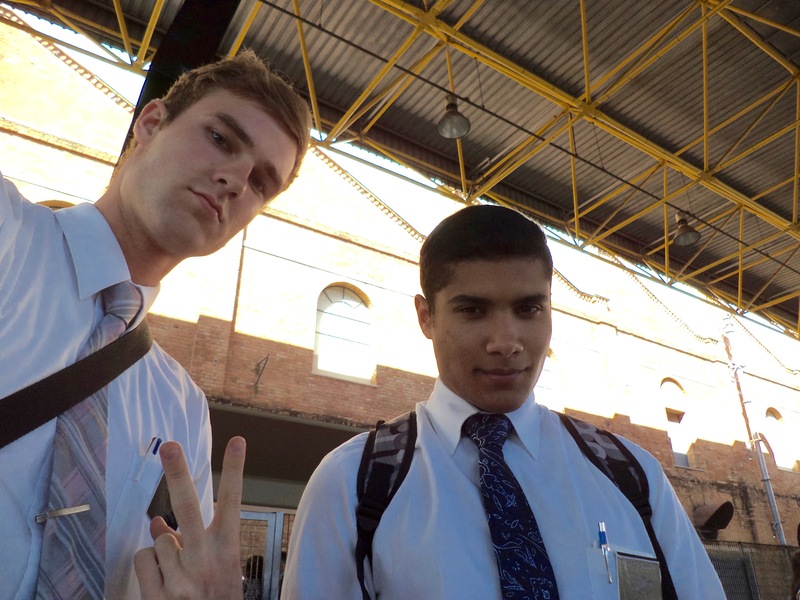 He has like 3 months in Brazil. We got ahold of French and Creole Books of Mormon and pamphlets to teach him! He is the cousin of a less active who is returning to church as well. Another Haitian member baptized him and said the ordinance in French. It was cool!